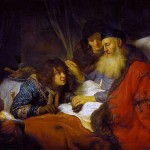 When Isaac grew old (at this point in the narrative he must have been about 120) his sight became dim (Gen. 27:1). Things were of course quite different with Moses, who was still energetic and possessed of good eyesight at the same age (Deut. 34). The effect of the ageing process differs from one person to another, due to a combination of factors which we do not completely understand. On a literalist reading of the story, we are hearing why Isaac did not protest at Esau’s unworthy actions: he simply did not see what was going on… or perhaps he preferred not to see. Midrashic commentary, however, always tries to look behind the words of a passage or story and seek an explanation. In the case of Isaac the Midrash (Gen. R. 65:10) identified what it seems to regard as an event in much earlier history that might be responsible for what probably was a lifetime of eye trouble. 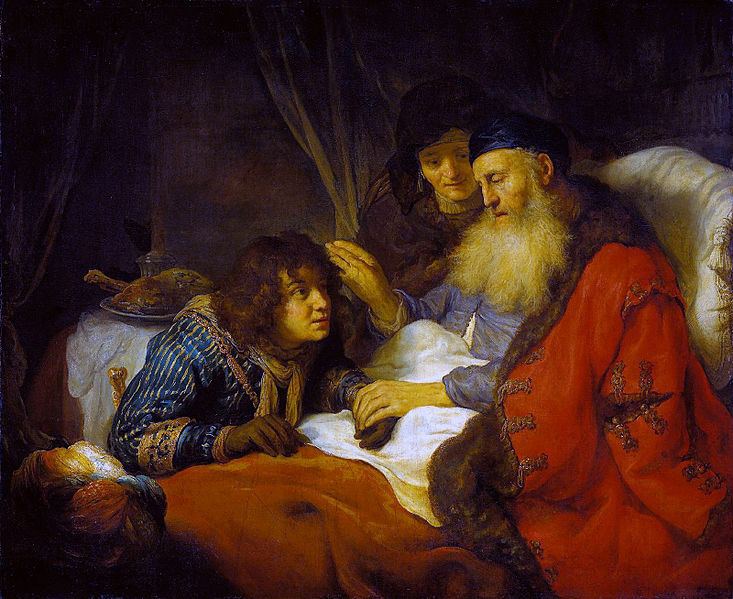 It says that at the time of the Akedah (Gen. 22), the angels were distraught to see Isaac bound on the altar and likely to be sacrificed, and they shed bitter tears which fell on Isaac’s eyes and clouded his vision. This entry is filed under Parashah Insights, Tol'dot. WordPress generated this page with 31 queries, in 0.233 seconds.